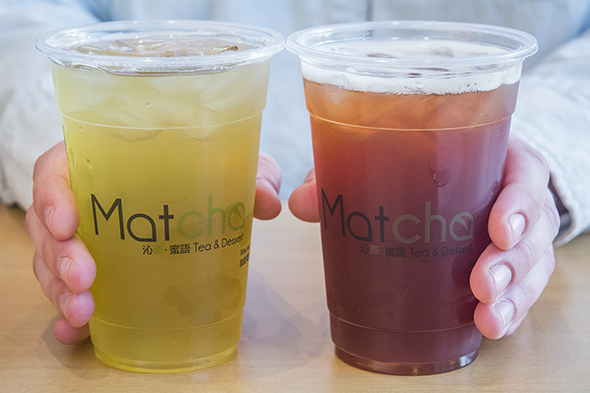 Matcha Tea & Dessert doesn't pull any punches with its name: they serve tea and dessert exclusively, mostly with a matcha theme. 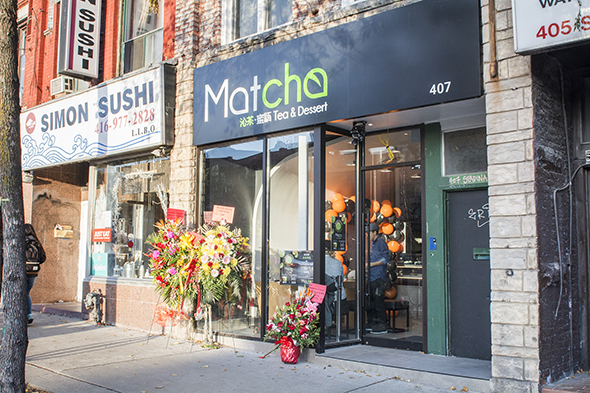 On Spadina in the heart of Chinatown, they're also one of the few places in the city to indulge in matcha cheese foam and lava cakes. 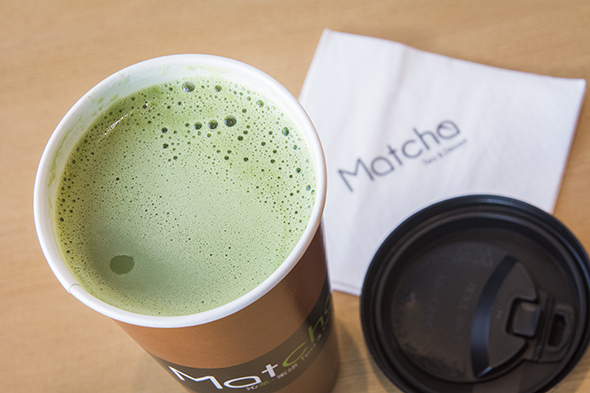 They source their matcha from Uji , a region in Japan well-known for green tea. It's not an exclusively Japanese place, though. 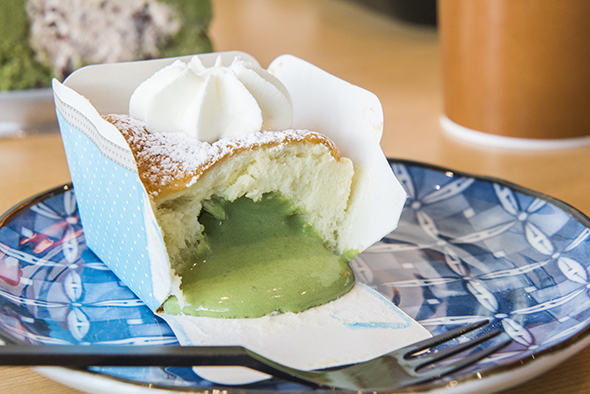 The owner grew up in Taiwan and became obsessed with matcha and the Uji tea region, so the items on offer here are a blend of Taiwanese and Japanese desserts, with some completely new ideas thrown in. 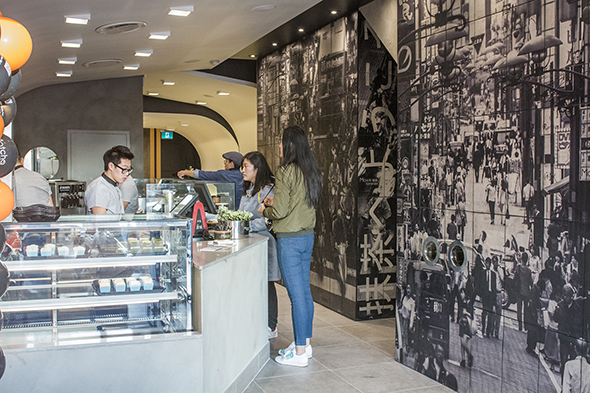 The interior has an open space at the front near the window with a big six-seater table, and the counter where you order and items are prepared lies just beyond that. 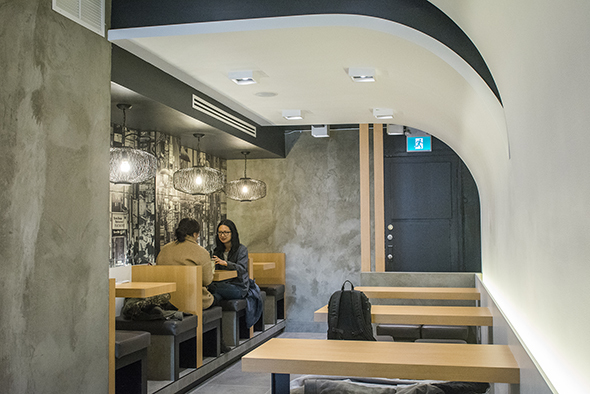 It's narrower at the back, but actually creates a cozy feel with light wood tables and funky black wire light fixtures. The uji matcha is incredible in their ujicha, which you can get hot or cold in a towering single size (think Starbucks venti) for $5.25. It's mostly sweet with a little bitterness at the end, unlike straight Japanese matcha typically prepared which can be quite bitter overall. It automatically comes with milk. 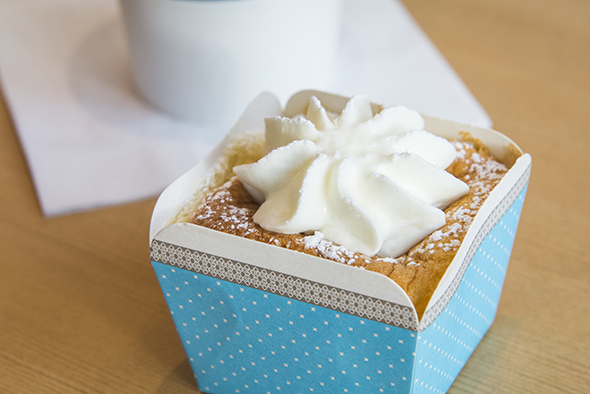 The teeny matcha lava cake ($3.95) is encased in cardboard, lined up in patient rows in a dessert case, topped with a humble squirt of whipped cream. When the sponge cheesecake exterior is sliced with a fork, cool (not hot) matcha cream flows out. Dip airy cake bits into the bittersweet filling, combined with the sweet foamy whipped cream and a little powdered sugar. 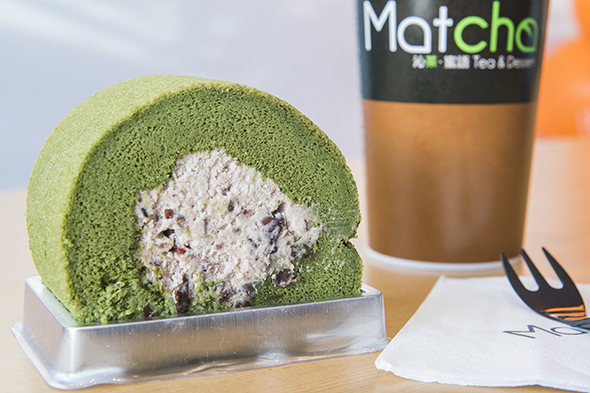 The matcha red bean Swiss roll ($4.95) is more usual, a matcha sponge cake with red bean filling creating a typical pairing. I feel like the matcha cake could be a little more moist, and maybe the filling could be more creamy to pair the savoury red bean and bitter matcha. I love the cheese foam ($5.25) they've come up with to top matcha drinks, a whipped mixture of cream cheese, milk and whipped cream that's just salty enough, just creamy enough, and just thick enough. 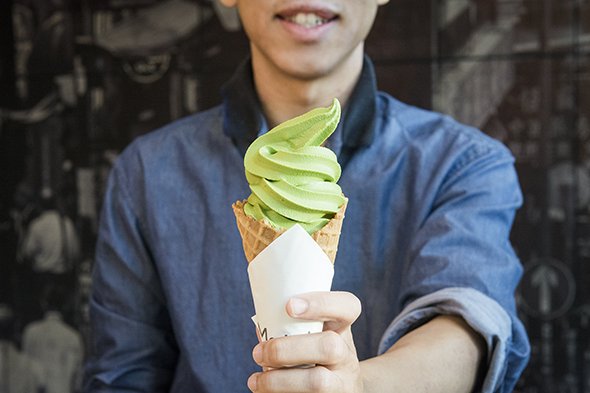 Don't forget the matcha soft serve ($5.25)! I actually found it a little hard in texture, but I'm glad I can get a black sesame and matcha swirl downtown.